Enter to win these 2 skeins of Black Pearl laceweight yarn from The Yarn Sisters Co. along with Ysolda's Strokkur and Orchid Thief Shawlette patterns by leaving a comment under this post by August 15th. Dont forget to leave your contact information! Only one comment per person please. The winner will be announced on Episode 73. I am still working away over here on my designs for the upcoming sequel... Botanical Knits 2! Right now I have the pleasure of working with Quince and Co's new yarn, Owl. Wow. I love it! 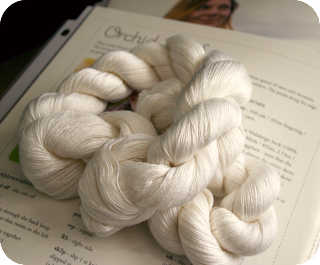 It's a 50/50 wool and alpaca blend that is lofty, soft and full of texture all at the same time. 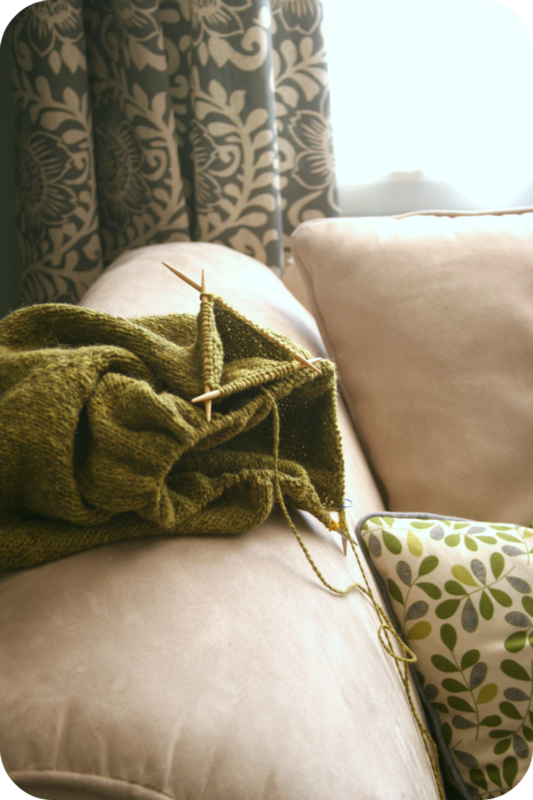 It is amazing to knit with, and the fabric it creates is just lovely. I am working up a new sweater design that I am really excited about. It has a design feature that I have never seen executed on a sweater before and is one that I feel is very fun to knit. Thank you for your patience with me as I work hard behind the scenes to get these patterns ready for you. I am super excited about the work I have accomplished thus far.